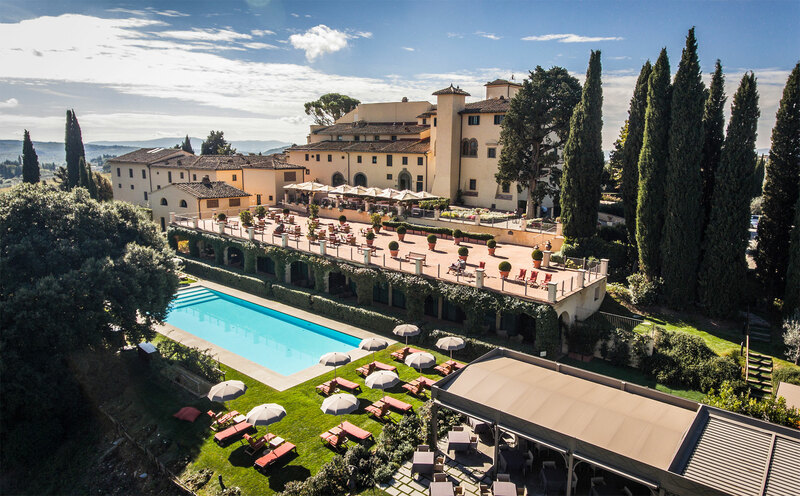 Luxurious Magazine’s Henry McIntosh discovers a taste of Tuscany during a stay at the stunning 12th-century castle, Castello Del Nero. 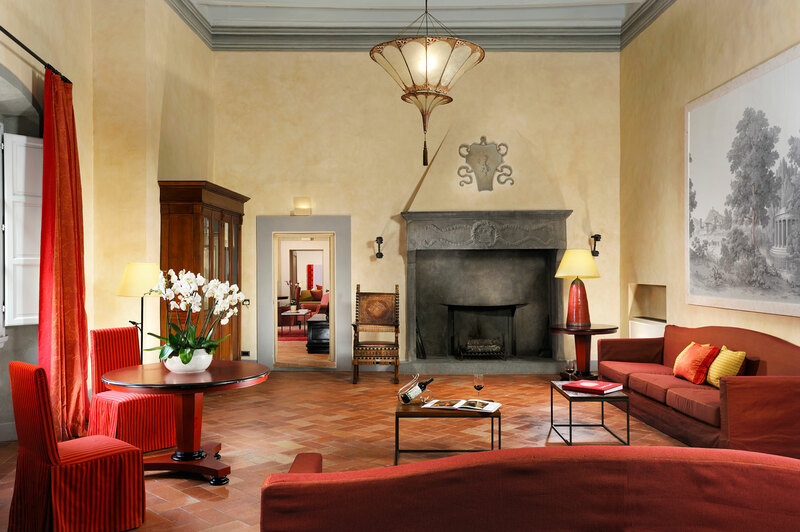 Built in a time before Italy existed, before the region spoke Italian and over four hundred years before one of its inhabitants patronised a certain Niccolò Machiavelli, the twelve-century Tuscan castle of Castello Del Nero commands the sort of heritage and history many hotels can only dream of. Thanks to a sympathetic renovation that took over three years to complete, the castle standing today pays due homage to its rich past. 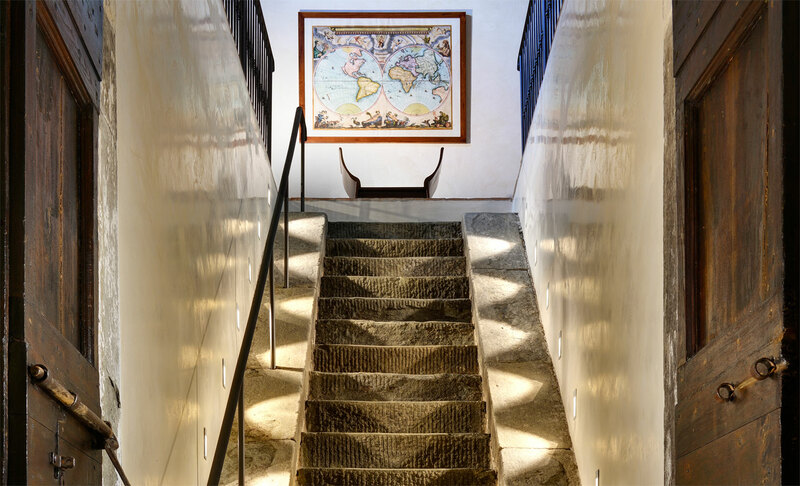 In its design, respect has been paid to the traditional features of the castle without forgoing all the amenities the modern luxury traveller could desire. The castle boasts fifty individually decorated rooms and suites. Of those, it is undoubtedly the six, 18th-century frescoed suites that capture the imagination with aplomb. Exquisitely planned, the renovators worked closely with the Italian Fine Arts Commission to preserve original features, such as the gloriously elegant frescos. Further decorated with rare works of art, bespoke beds and individual character, the suites offer stunning original features complemented by contemporary trappings. The grandeur of the interior is complemented by a stunning estate with Castello Del Nero over 740 acres of spellbinding Tuscan countryside. Viewed from the castle the countryside may seem endless but you are merely 30 minutes from the stunning cities of Florence and Sienna. With complimentary shuttles running every half an hour to and from the cities, it’s easy to escape for a day’s traverse around the sights. Walking into my own room, there was a sense of history and luxury that even those who elect for modern hotels would find mesmerising. The window could have been the frame to a painting, so bountiful was the scene. 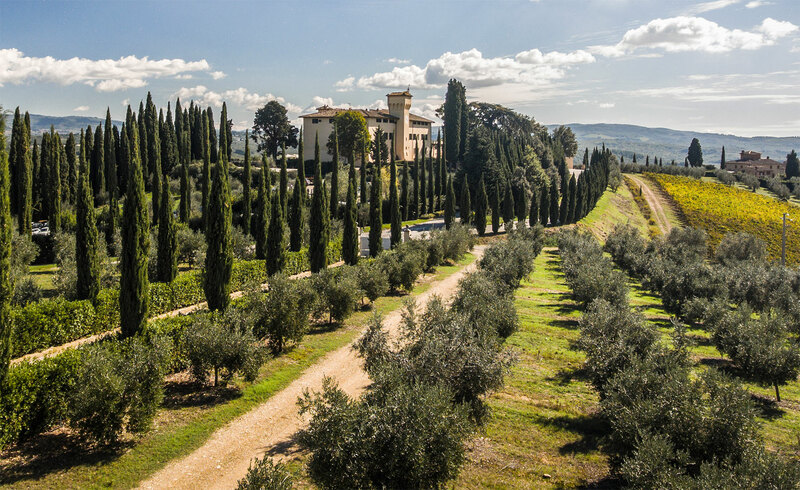 Cyprus trees, motionless under the Tuscan sun, bordered a picture of immense beauty, where carefully maintained vineyards, traditional villas and distant hills, complete a picturesque picture in which a man could easily lose himself. 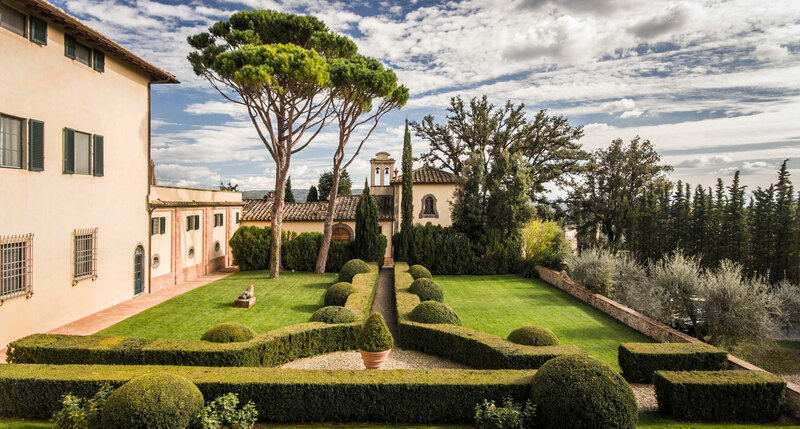 It’s the sort of place you could imagine artists of all ilk utilising as a muse but the rolling hills don’t just conjure a pretty image, Castello Del Nero actually harnesses the land to produce miniature luxuries of immaculate conception.